Published by The New Era Publishing Co. Ltd., Parker Street, London First Edition 1947. 1947. First edition hard back binding in publisher's original pale olive cloth covers, blue title and author lettering to the spine. 8vo. 8½'' x 5½''. 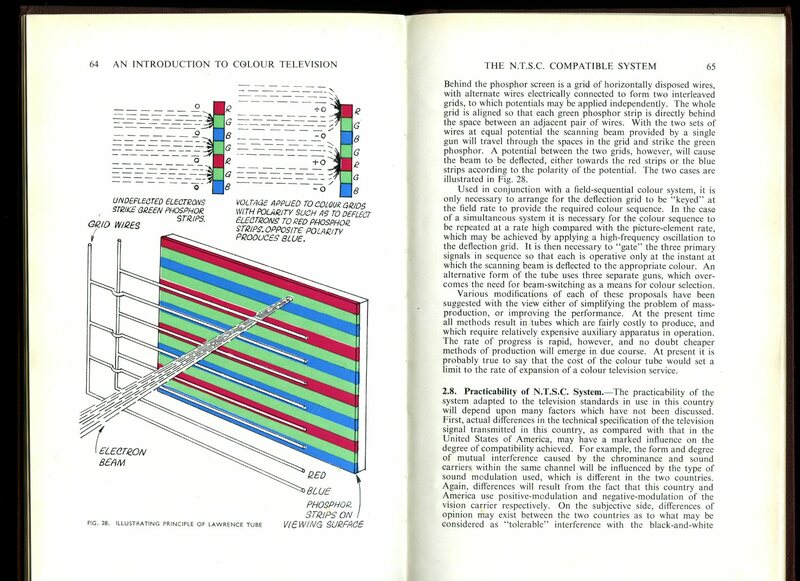 Contains 319 printed pages of text with monochrome diagrams and photographs throughout, 3 fold-out circuit diagrams. Spine ends soft, rub to the upper rear corner, some mottling of the cloth to the panels and in near Very Good condition, no dust wrapper. Member of the P.B.F.A. Published by Peter Peregrinus Ltd., London with Science Museum First Edition 1986. 1986. 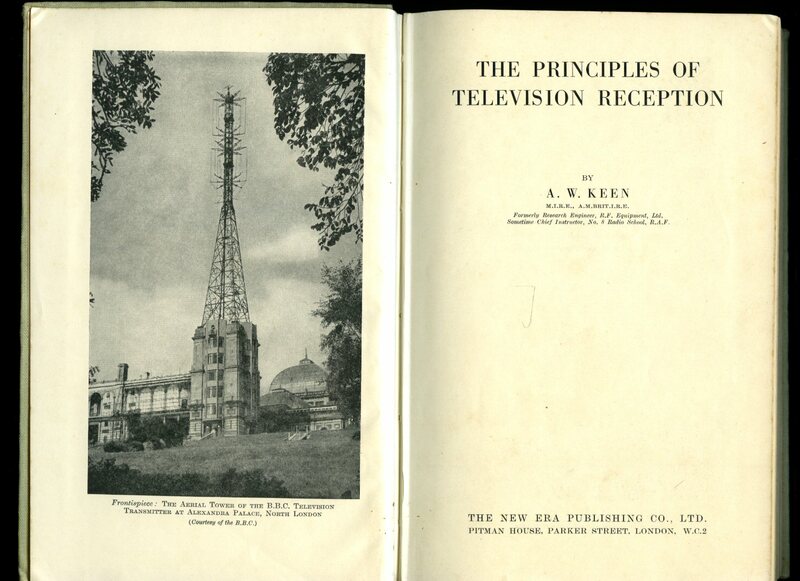 Published for The Television Society by Norman Price (Publishers) Ltd., 283 City Road, London First Edition 1955. 1955. First edition hard back binding in publisher's original burgundy paper covered boards, gilt title and author lettering to the spine. 8vo. 8½'' x 5½''. Contains 72 printed pages of text with colour and monochrome graphs and diagrams throughout. Ex library copy with small library plate to the front paste down and stamp to the copyright page, age tanning to the free end papers, spine ends rubbed and in Good condition, no dust wrapper. Member of the P.B.F.A. Published by Business Publications Limited, London 1962. 1962. Hard back binding in publisher's original red paper covered boards, gilt title to the spine and to the front cover. 8vo. 8½'' x 6¼''. Contains 432 printed pages of text with listings, monochrome illustrations and photographs throughout, printer's bookmark. 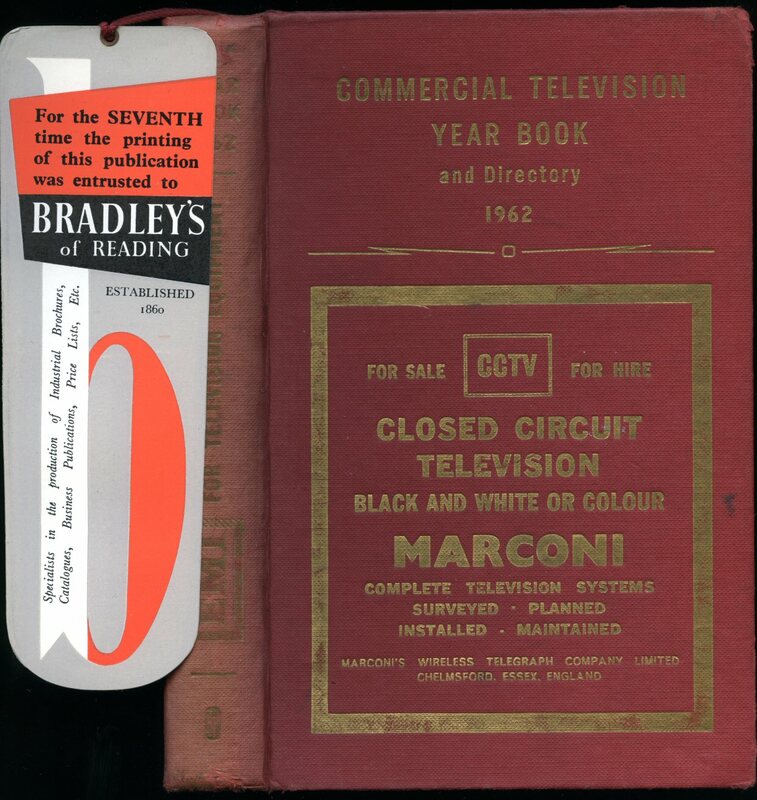 BBC library copy with stamps to the end papers, upper corners rubbed, spine ends scuffed and in Good condition, no dust wrapper. Member of the P.B.F.A. Iliffe & Sons Ltd., London First edition 1955. 1955. First edition hard back publisher's original grey cloth covers, gilt stamping to spine. 8vo 8¾" x 5¾" 308, ix [pp]. 161 figures and 15 photographs. Very Good in Very Good dust wrapper with short closed tears to spine ends, shallow chip to spine tip, not price clipped. Dust wrapper protected. Member of the P.B.F.A. Published by Newnes Butterworths, London Sixth Edition 1973. 1973. Sixth edition hard back binding in publisher's original illustrated orange paper covered glazed boards. 8vo. 7½'' x 5¼''. Contains 372 printed pages of text with monochrome diagrams and photographs throughout. 20 mm tear to the upper front gutter, 5 mm tear to the foot of the front gutter, lower rear edges rubbed and in Good condition, no dust wrapper. Member of the P.B.F.A. Published by Cameron Publishing Company, Coral Gables, Florida, USA First Edition 1947. 1947. First US edition hard back binding in publisher's original brown cloth covers, black title and author lettering to the spine and to the front cover. 8vo. 8½'' x 6''. Contains 324 printed pages of text with monochrome diagrams and photographs throughout. Spine ends turned-in. Very Good condition book in Very Good condition dust wrapper with small chips to the spine ends and corners, not price clipped. Dust wrapper supplied in archive acetate film protection, it does not adhere to the book or to the dust wrapper. Member of the P.B.F.A. 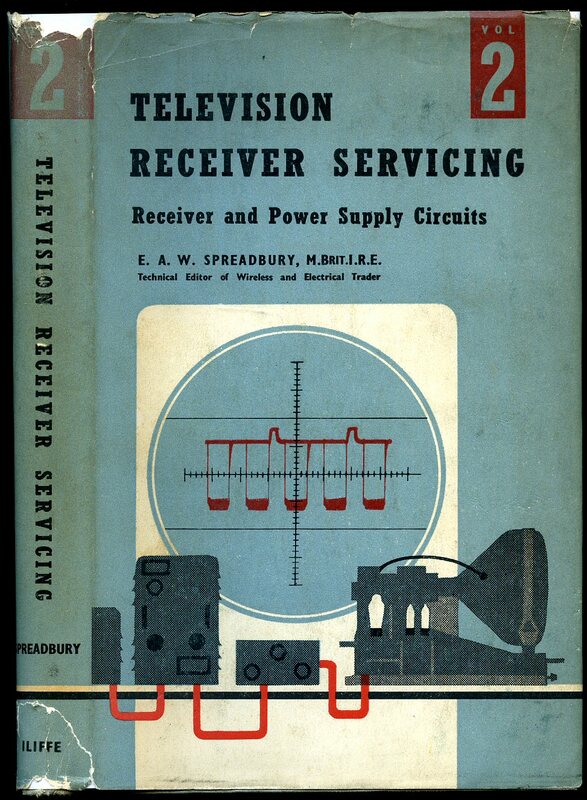 Published for Wireless World by Iliffe & Sons, London Reprinted Edition 1943. 1943. Hard back binding in publisher's original blue cloth covers, gilt title and author lettering to the spine and blind-tooled to the front cover. 8vo. 7'' x 4½''. 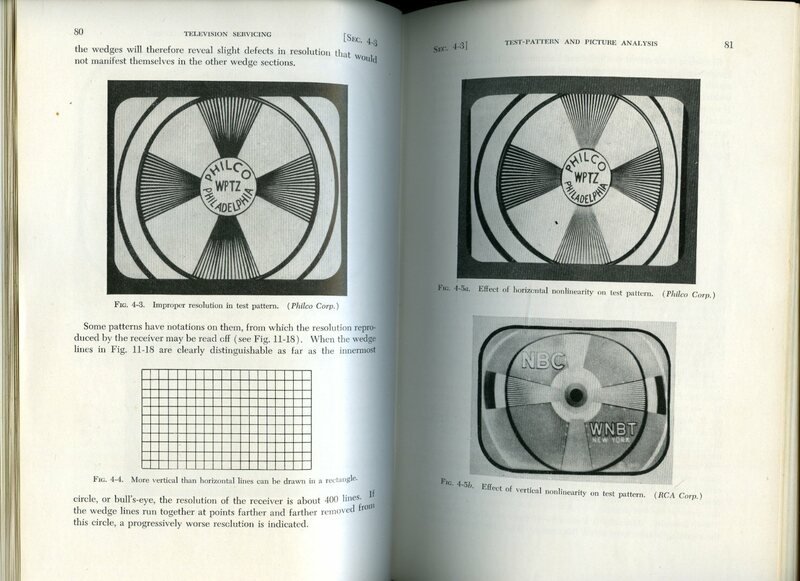 Contains 298 printed pages of text with monochrome illustrations and photographs throughout, 3 fold-out circuit diagrams. War economy standard paper, tiny rubs to the spine tips, ink presentation details dated 1943 'awarded for the best receiver built by a member of the 4M3 entry', to the front paste down. Very Good condition book in Very Good condition dust wrapper with small nicks to the spine tips and corners, gutters scuffed, not price clipped 10s 6d. Dust wrapper supplied in archive acetate film protection, it does not adhere to the book or to the dust wrapper. Member of the P.B.F.A. 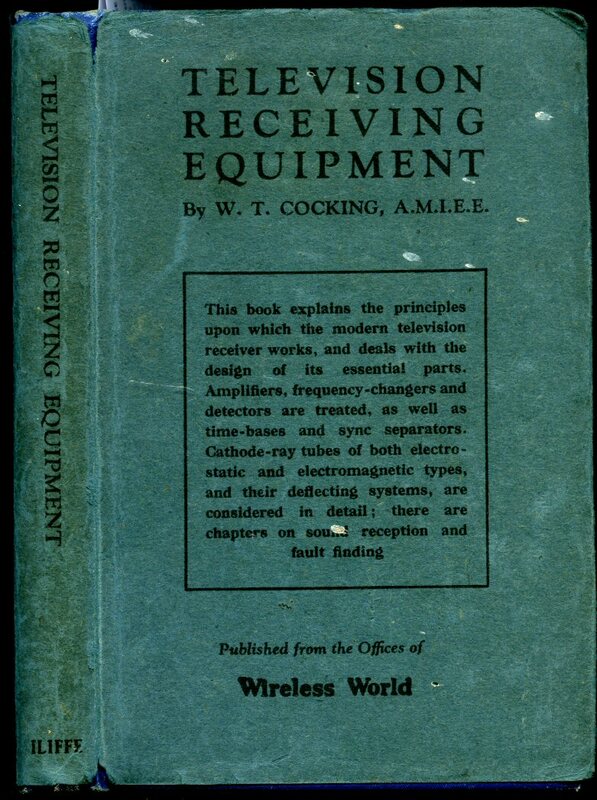 Published by for Wireless World by Iliffe & Sons, London Second Edition 1947. 1947. 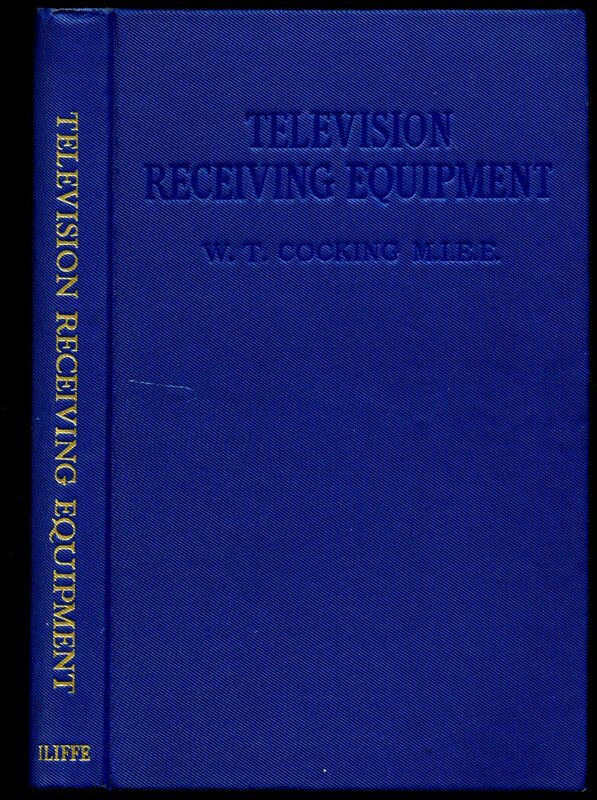 Second edition hard back binding in publisher's original blue cloth covers, gilt title and author lettering to the spine and blind-tooled to the front cover. 8vo. 7'' x 4½''. 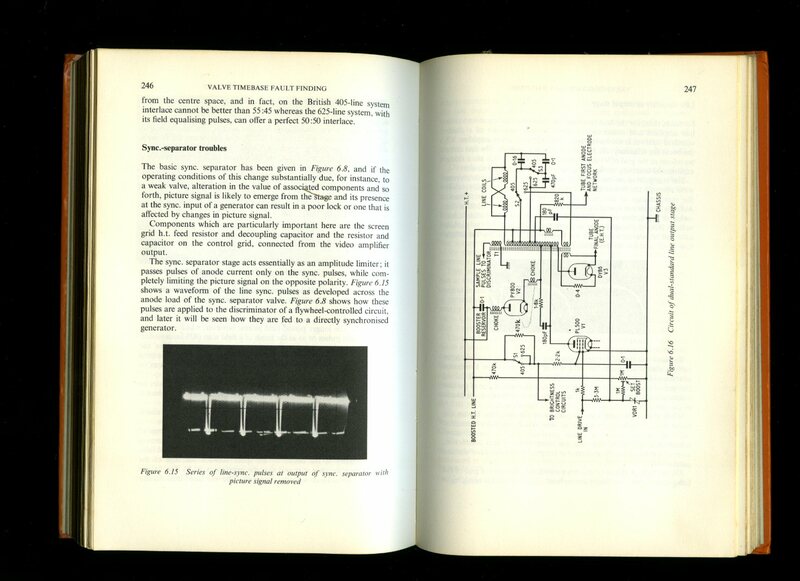 Contains 380 printed pages of text with monochrome illustrations and photographs throughout, 3 fold-out circuit diagrams. Ink name to the front free end paper and in Fine condition, no dust wrapper. Member of the P.B.F.A. 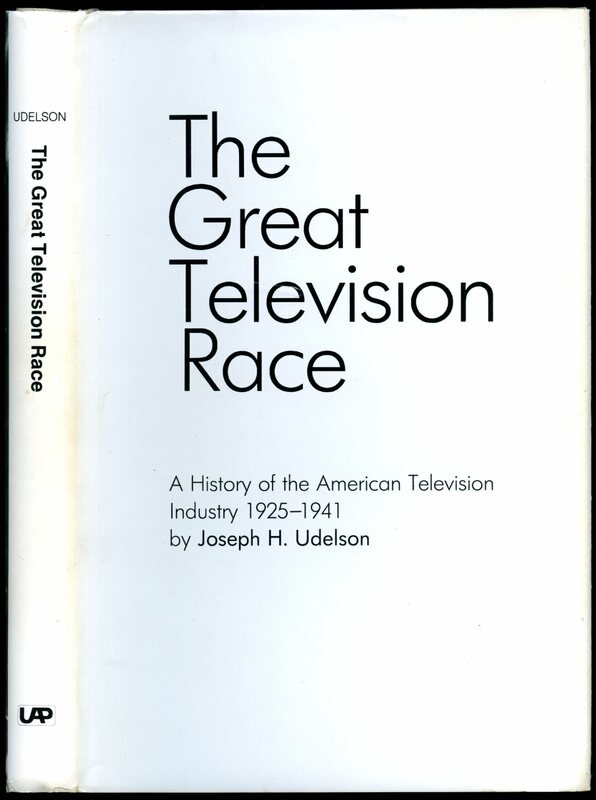 Published by The University of Alabama Press, USA First Edition 1982. 1982. Published by University of Illinois Press, Urbana and Chicago USA First Edition 1995. 1995. Published by George Newnes Ltd., Tower House, 8-11 Southampton Street, Strand London First Edition 1952. 1952. First edition hard back binding in publisher's original green cloth covers, gilt lettering to spine and upper panel. 8vo 8½" x 6" 215 pp. Monochrome illustrations and sketches throughout. Very Good condition book in Good condition dust wrapper with 30 mm x 30 mm triangular shaped piece missing to top of upper panel, closed tears and small chips to edges and corners, not price clipped 25/-. Dust wrapper supplied in archival acetate film protection. Member of the P.B.F.A. Guglielmo Marconi, 1st Marquis of Marconi (Italian: 25 April 1874 - 20 July 1937) was an Italian inventor and electrical engineer known for his pioneering work on long-distance radio transmission and for his development of Marconi's law and a radio telegraph system. 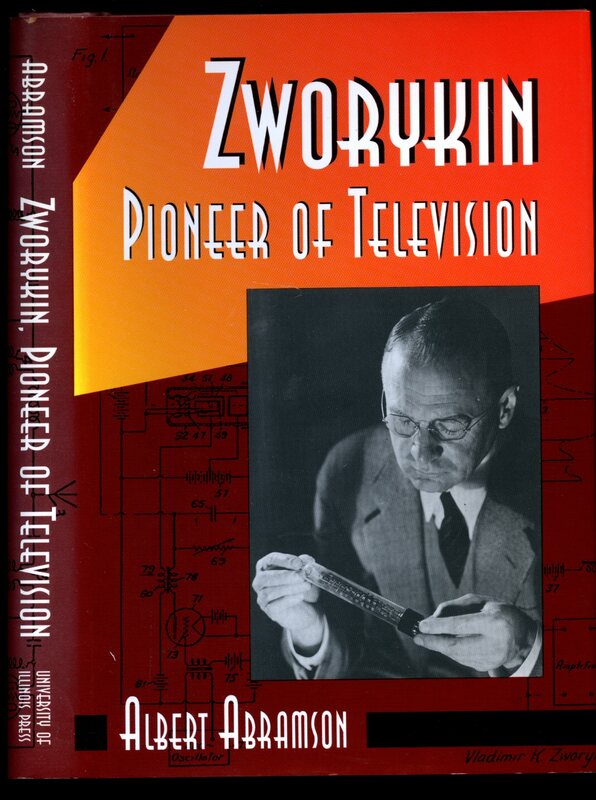 He is often credited as the inventor of radio, and he shared the 1909 Nobel Prize in Physics with Karl Ferdinand Braun "in recognition of their contributions to the development of wireless telegraphy". Published by The Marconiphone Company Ltd., Radio House, 210 Tottenham Court Road, London circa 1936. 1936. 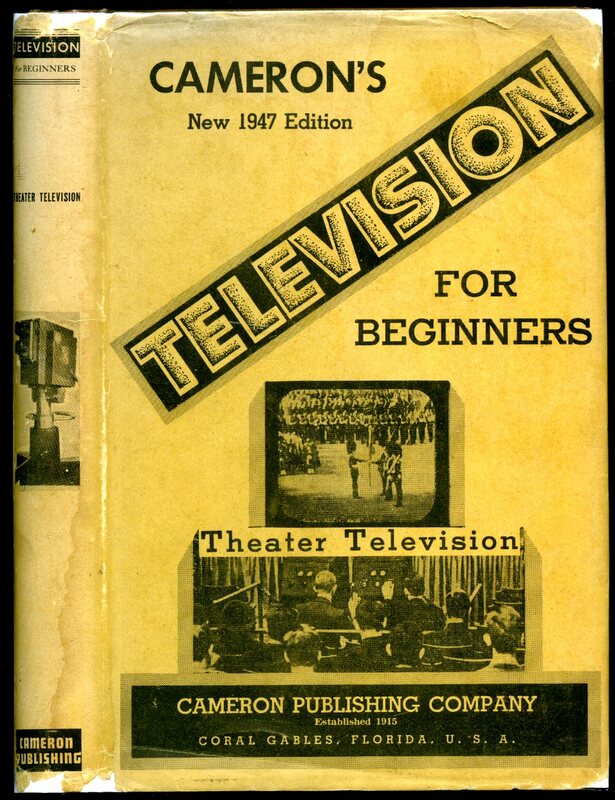 Modern copy from an original 8½'' x 6'' in stapled paper covers [soft back]. Contains 11 printed pages of text with one leaf of illustrations. 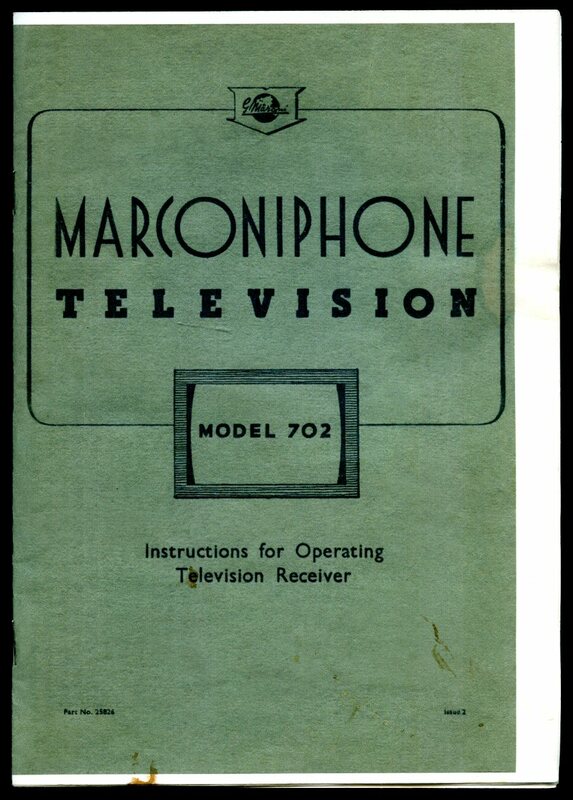 Marconiphone television receiver Model 702 was made by Marconi in about 1936, when it sold for 60 guineas. 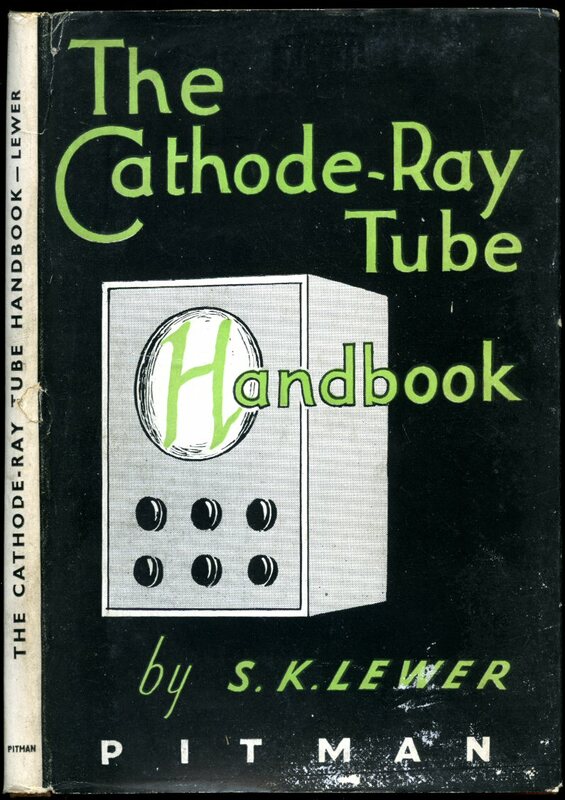 Because the cathode ray tube was so long it was mounted vertically in the cabinet. Mounting the tube this way meant that if the tube shattered, the glass flew up in the air rather than directly at the viewer. Member of the P.B.F.A. Published by Sir Isaac Pitman & Sons Ltd., Parker Street, Kingsway, London Second Edition 1947. 1947. 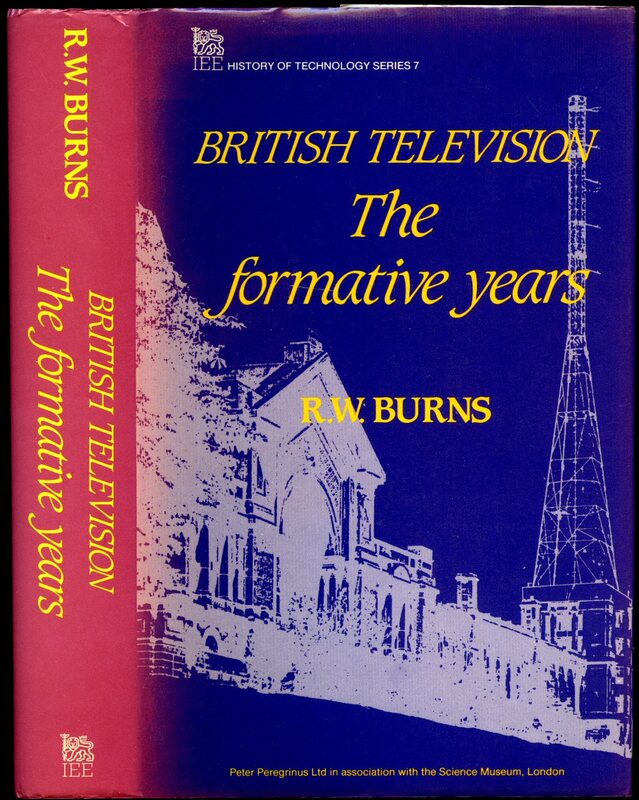 Second edition hard back binding in publisher's original red cloth covers, black title and author lettering to the spine and to the front cover. 8vo. 7½'' x 5¼''. Contains 101 printed pages of text with monochrome diagrams and photographs throughout. Sun fading to the red of the spine, patchy colour to the front panel. Very Good condition book in Very Good condition dust wrapper with shallow rubs to the foot of the spine and corners, shelf rubs to the black of the front cover, not price clipped 6/-. Dust wrapper supplied in archive acetate film protection, it does not adhere to the book or to the dust wrapper. Member of the P.B.F.A. 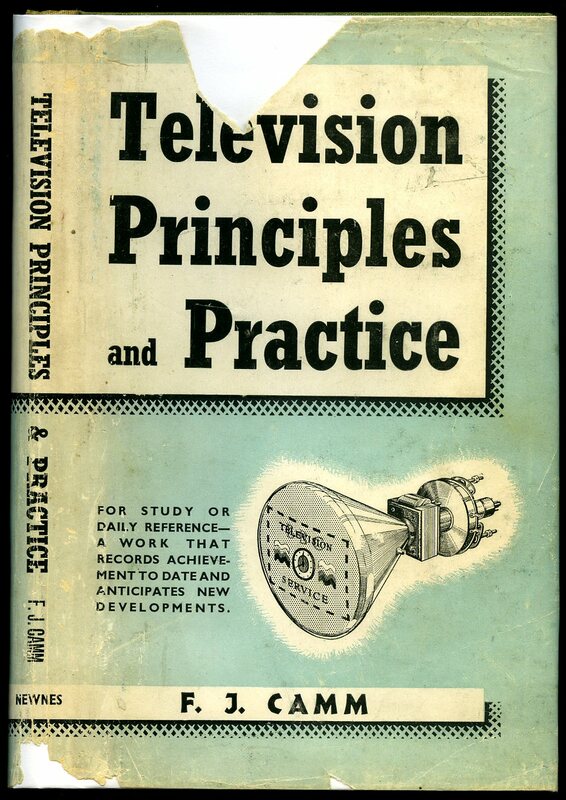 Published by McGraw-Hill Book Company, Inc., New York, USA First Edition 1950. 1950. First US edition hard back binding in publisher's original pale olive cloth covers, gilt and blue title block to the spine and front cover. 8vo. 9½'' x 6¼''. Contains 434 printed pages of text with monochrome diagrams and photographs throughout. Minimal wear to the covers and in Very Good condition, no dust wrapper. Member of the P.B.F.A.